We host a number of school events to enhance our educational objectives of developing social skills. Our school festival has two focuses; sports and culture. Our Sports Festival is a two-day event of fun competition between homerooms. In our Cultural Festival, homerooms do a display or a performance to celebrate the student-chosen theme. Every year, our festivals attract thousands of graduates, families, friends, and prospective students. Other iconic events include our school trips. It is on these three-to-five-day trips that students have meaningful interactions with one another and develop new friendships. The trips are also about self-initiated learning and students do thorough research on a chosen theme related to their destinations. Academically, the examinations are the most significant school event. Five times a year, students undergo a four-day testing period to be tested on what they have learned so far in the trimester. 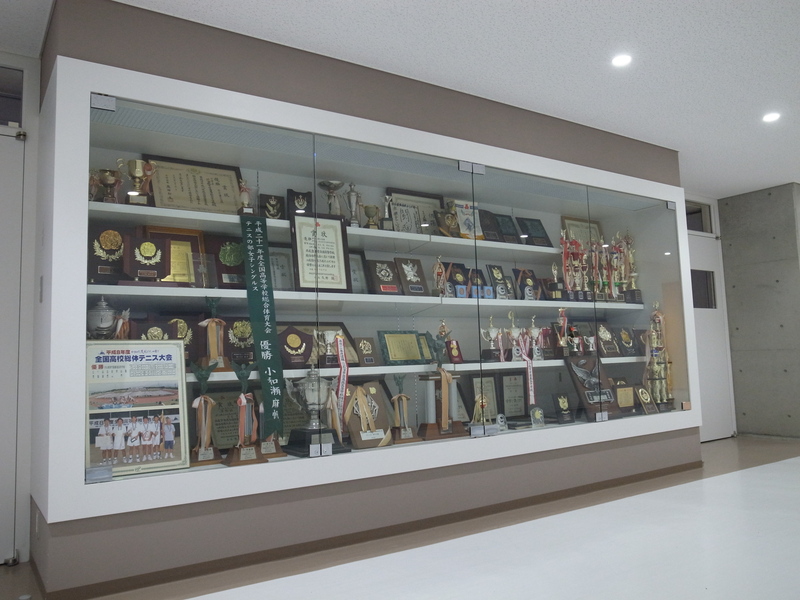 Makuhari Junior and Senior High School provides many opportunities for students to expand and explore their interests. The average club member spends 2-3 hours a day, 4-5 days a week on club activities. The clubs are structured in a way that improves not only artistic or athletic ability, but also the interpersonal skills of the members. We have fielded teams for the Japan Model United Nations competition (Global Classrooms). Our teams have been selected as representatives of Japan for the International High School Model United Nations Conference every year since 2009. Honorable Mentions were awarded in 2010 and 2012, and our team was awarded the prize for the Best Delegate in 2014. Our students have opportunities to participate in educational trips to the U.S., the U.K., New Zealand, Singapore, Vietnam and China. In addition, our school hosts foreign exchange students from New Zealand, Singapore, China, and other countries every year. Students are also given an opportunity to spend one whole year studying overseas in countries such as the U.S., the U.K., Canada, Australia, and New Zealand.